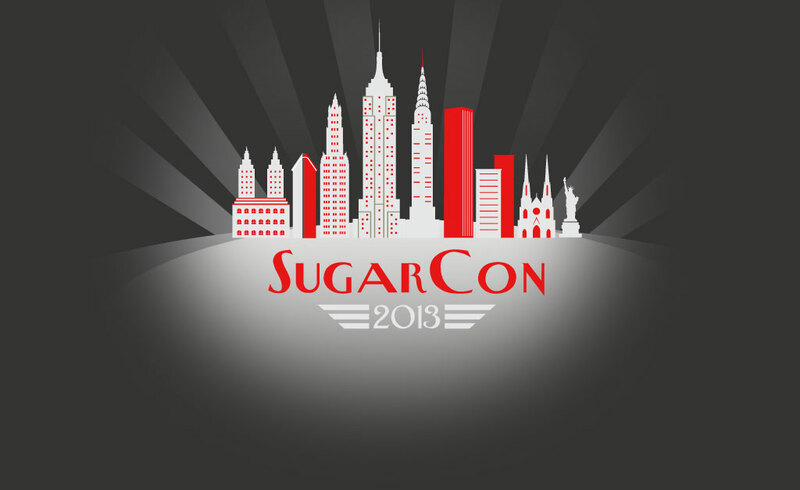 This was my first Sugarcon as a SugarCRM Business Partner and user. As we saw on BP day, about 2/3 or 200 people in the room were also at their first Sugarcon, many of whom became partners this year, some as recently as the Friday before it started. Impressive for any vendor to have that type of growth. We also found out in turn that SugarCRM nearly doubled in size their employees to about 350 total including contractors/consultants. Many of the employees were here and it was great to meet so many people. Oddly enough for me, I met few developers, but then I have few issues with SugarCRM that require me meeting the developers. On the other hand, the executive teams and regional sales execs were openly available and mixed with everyone and most importantly answered questions uniformly without the usual "go ask him" or "let me get back to you" or any spin. Very refreshing. Plus they want input and encourage it from different angles as they are poised to grow into more enterprises. I met many partners and we had discussions around go to market ideas, competitive discussions and where people have come from and where they want to go with SugarCRM. Some look forward to the IBM efforts but are wary as a Business partner what this means to them. Size matters, so does certifications and smaller partners will face similar issues to what the IBM smaller business partners have faced the last 2 years. If you are on the path towards growing your business and reaching higher levels of customer numbers life will be good for you. The event itself was run like a large user group meeting which extended the more family and friendly like atmosphere, not bad for about 1,000 people. I compare it to other IBM events which is probably unfair given their size and stature, but in my world few events are this size, they are either smaller or larger. Not very formal about anything, they had a nice app for iPhones (My Android device had issues), good breaks and healthy snacks (It was in San Francisco) split into technical tracks and sales/sponsor tracks as well as more private business partner training sessions. Guy Kawasaki was a great presenter, he had also spoken at Lotusphere this year I wonder when I will hear him next this year. The analysts and pundits that provided their insights were for the most part on the money but also not tight or heavy handed. Basically everything was light and informal and I credit the SugarCRM motto of "User First" with being so open as well as being an open sourced company. The Exploratorium is a great place to go and everyone should go when in San Francisco. Partner training was an added bonus and I spent my time not on the tech side, I am not a developer, but on the sales and business sessions looking at the SugarCRM methodology to encourage sales with a process that works. Bruce, Olivier and Erin did some great enablement sessions and roll plays. On a personal level kudos to the Kosher caterer in Oakland, that steak was huge and a big surprise. I also had a "baseball card" signed by Clint Oram, the SugarCRM CTO. Key speakers had these cards made up by SugarCRM which were handed out. The uncut sheet is probably very valuable. My only complaint, aside from my android issues, is that the sessions were not recorded. When you have 6-8 parallel sessions running much is missed and slides don't cut it. A number of customers expressed this as well something to think about for next year. My session on the "Boss is Anti-Social" will be set up as a webinar or podcast at some point soon. Congratulations to Chris Bucholtz and everyone involved in making the event so successful. See you next year in New York, Waldorf Astoria, April 7-11, 2013. If you want more details they have the website up already over here. Over the course of the last few days here in San Francisco at Sugarcon 2012 I have had some interesting discussions around IBM, integration points, IBM SmartCloud and of course Lotus Notes and Domino. What you probably know is there has been a few integration points for SugarCRM that have included a Lotus Notes plugin for the Notes client from the iEnterprise acquisition and the LotusLive plugin to SugarCRM itself to share meetings and files. SugarCRM and IBM have shown the integration of IBM Connections into SugarCRM. and it's pretty sweet too, even if it isn't quite ready for GA(ETA Q3). The basic principle of the integration was put together over a few weeks and was aimed at procviding a bridge between SugarCRM and the IBM Connections environment. Built-in to the SugarCRM side is a connector where you set up your logins and locations and then you have the communities and members to be listed inside SugarCRM. A great job was done to get the business card settings to work so you can click straight over to the Connections sections like wikis, blogs, profiles, communities and activities, etc. This may be a huge boost for SugarCRM as they strive to reach more Enterprises. Given the size of most IBM Connections installations, this may be an opportunity for Business Partners to make a huge play with their customers. The flip side is not so great. IBM Connections is overkill to SugarCRM's bread and butter customers of the under 25 user organizations. IBM SmartCloud Engage, a slightly reduced version of IBM Connections, but one wholly based in The Cloud should be a good play if it gets packaged or bundled together at some point in the future. This is my guess at what we may see down the road. I missed the IBM session that outlined some more details. IBM Sametime looks to be the next product to find it's way. Most likely due to Yammer being built-in to Salesforce.com. Naturally an organization can also use an online version or on premise version of Sametime but today there is no integration inside SugarCRM. IBM Business Partners, you may want to start brushing up on SugarCRM. We have been a SugarCRM Silver Business Partner for the last year and a half and happy to discuss it with any of you. My slides on IBM SmartCloud and SugarCRM can be found here. One of the things heard this morning at SugarCon was that IBM is working on rolling out SugarCRM to the company. This is a huge boost of course for SugarCRM and for IBM and it's sales teams and Business Partners. In doing so, IBM will be putting aside Siebel. SugarCRM which is looking to grow their Enterprise business, needs this boost. In many ways it brings validity to what many of us have known for years. Mainly that older solutions are cumbersome, expensive and they preclude others from excelling at their jobs. With this roll out there are integration points in place today for IBM SmartCloud Engage (previously LotusLive Engage) and now there will be IBM Connections integration. More on this topic coming in a different blog post. If you had been at the Partner day or the Keynote this morning, you may have felt, as I did, that substituting Lotusphere/IBM for Sugarcon/SugarCRM you may think you were in Orlando. Even the music/videos out front had a similar sound/feel. so naturally I feel at home. Just missing my yellowverse friends. But as I meet new friends, customers and partners, I am struck by the feeling of deja vu. I have seen this similar growth and plans way back in R4 of Lotus Notes. yes prior to IBM buying Lotus, the company was also trying to break into the Enterprise levels. And IBM helped them get there in many ways. Now SugarCRM is leaning on IBM to help guide the future, make inroads into bigger clients and integrate with their existing systems and extend out to newer ones. It is a good working relationship that can only help SugarCRM. But I wonder what IBM will get from this. Back in R4 time, email was just coming out and it was the right time, right product. Now, CRM is not new nor is SugarCRM by far the only player out there, though they are the 3rd largest CRM vendor out there with over 1 million active users, 80,000+ organizations use it and 30,000 registered developers. Their view, reiterated by Larry Augustin, CEO and Clint Oram, CTO of SugarCRM, is the USER is what is most important. Again, just like Lotus Notes wanted to help the user do more, share more and grow more. It's a great parallel. If we, as partners, can leverage SugarCRM to augment our IBM solutions it may help IBM Connections grow similarly to how Lotus Notes grew years ago. My session tomorrow discusses this and more from a practical angle, not a sales/marketing pitch. looking forward to this future and greater information to be coming from this relationship. This is my slidedeck from the Sugarcon 2012 session I just finished about ways to help executives be more social. It also covers some ideas around out thinking your competition and how to get stuff done without approval. The link to my slides page is here. Slideshare link as well. Been working with a client moving them from R5 to 853FP1. A big jump and not so simple as one would think. The usual Domino items do work properly and as we move people over all is well and good, but along the way we found some gotchas that, well, if you were not around in R5 time, you may not realize the nuances. Traveler of course is a key part of why they are upgrading. NOT for iPads or iPhones but for Android devices. An added bonus to them is the Sametime entry which is a FREE entitlement with their Domino licenses. You created a database from the dircat template and then told it which directories (Notes or LDAP) to pull people or whatever fields you specified into it. Simple right? And it worked well. I demo'ed this in beta in Athens at the IBM EBU in 1999. Flash forward to Traveler time and you see Traveler likes to work with DA (Directory Assistance). No problem, took their file and set up the DA database and configuration. And nothing happened. Show XDIR included the file but no lookups on Traveler. After a little bit of poking around the file, it turns out the file the client told us to use was really a DirCat, not a regular Address Book. Traveler was not happy, now I knew why. Looking at the config doc I found the original file it was based on. Edited the DA and restarted the server and like magic it worked properly. Lotus Notes Traveler just wants to see proper address books when doing lookups from your device. What is really nice is the search finds people FAST and given this is over 13,000 names, not including their own NAB that's a huge win for everyone. Remember you need to type 3 letters before you see any hits but you can adjust that if you wish. See this wiki page for more details on lookups and configurations. This week I was at John I. Leonard High School in Greenacres, Florida speaking on behalf of ITWomen on the topic of Ethical Hacking. The nature of the discussion was not how to do it but more what it is about and why it is important. While I hit the key points in the qst half of the presentation, the second half has more details about the processes and methodology for those interested. While discussing my time with Citibank during one of their attacks, various co-workers that presented their own problems and unique resolution and my own experiences with hackers on my systems and those of our clients we hit the highs and lows of the topic. In bringing it to the students level, I discussed how this type of police work has all the same action but with much less physical risk. We also discussed how to report questionable activities. The high school kids also admitted Twitter has jumped the shark...only to say they prefer Facebook. I credit 3 primary references which I used to put it together if anyone wants to look at it in the original forms. Here is the link to the presentation. Sorry, with a busy week, this got left out last week. And he slaughtered [it], and Moses took some of its blood, and placed it on the cartilage of Aaron's right ear, on the thumb of his right hand and on the big toe of his right foot. And you are thinking to yourself, where are we going with this, right? The natural question is why these 3 places, and why the right hand? In olden times, the right side of a person was a side of strength. So naturally Moshe puts the blood on the right side. When you go to a customer you want to put your best foot forward. Sorry, couldn't resist. And naturally you want to shake their hand and be a good listener. Aaron and his sons were to be the Cohanim, the priests for the people and as such their role was to listen to the people, be strong for them and to support the masses while also being swift to justice. If you want to be in leadership, you need to lead by listening first and that is what the blood on the ear symbolizes. It touches each part of the Cohen that is important for their roles and to remind them of what is truly important. Leadership examples come from everywhere and can work for anyone.